I had to drive past two super-sized cinemas, both showing the same eight (bad) movies so I could see 12 years as a Slave. My wife and I like to see all the movies with Oscar buzz and, given the reviews, thought this one was a must see, so we made the trip. I’m not sure it lives up to the comparison with Shindler’s List, but it was good. It was good, but I was a little irritated by the portrayal of Christianity in the film. Not only were the slave owners explicitly Christian, but the one sympathetic character–the one who boldly expressed abolitionist ideals–was not. The most abusive slave owner–the one who had his slaves whipped if their daily cotton picking was less than the day before, the one who regularly raped his best worker, the one who shredded the back of a defenseless woman–used the Bible to justify his behavior. Mr. Bass, played by Brad Pitt, is the savior of Solomon Northrup, the protagonist of the film. Bass’ opposition to slavery is based on a vague objective equality inherent in all men. Where did this idea? It is historically accurate to present slave owners justifying the institution of slavery with the Bible. It is also, certainly, true that some of those who opposed slavery were freethinkers like Bass—unaffiliated with Christianity. But I was irritated that the filmmakers chose to associate Christianity with the injustice of slavery and ignore the fact that Christians played a major role in the Abolitionist Movement. Throughout history, men have used whatever it takes to justify their own greed or lust for power. Within a Christian culture, such men will use Christianity to do so. This, however, does not make them Christians–to be Christian, one must walk in the footsteps of Christ. One need only read a few chapters of one of Matthew, Mark, Luke or John to see how Jesus would respond to slavery. It was a Christian view of humanity that fuelled the abolitionists’ opposition to slavery. I thought the movie overlooked this fact. 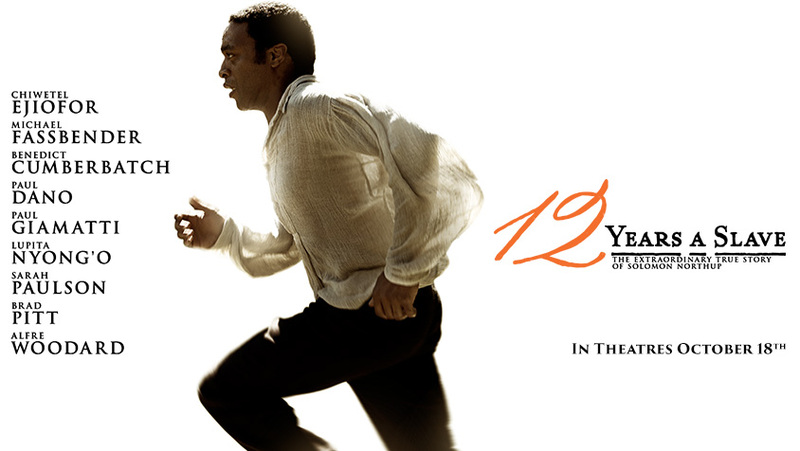 I was angered by the injustice of slavery as I watched this movie. I caught myself thinking, “If I were there, I would have done something.” Almost instantly, I recalled that our world is full of injustice today–including slavery. It is the love of and for Jesus that motivates the International Justice Mission. There are millions of victims of slavery in the world today. IJM is doing something about it. Working with local officials, IJM rescues victims of slavery and sexual exploitation and they prosecute the perpetrators of these injustices. IJM, and Christian organizations like it, are doing exactly what the makers of 12 years as a Slave hold up as the ideal, and they do it in the name of Jesus Christ. Sadly, the movie applies his name to those whose motives and behaviours are most contrary to his. The movie is obviously concerned with exposing injustice. But I wonder about the long-term effect of consistently presenting Christians as those who perpetuate hate and injustice. I worry, but won’t be surprised, that it will result in some new forms of injustice. Fact is, the most active, most determined, and most persecuted abolitionists were Quakers. (Though they were deeply hated by members of most other churches.) They put their lives on the line and committed felonies, some punishable by death, in the practice of their Christian faith. Secondary was the Anglican Communion, which sadly did not officially oppose slavery or advocate breaking the laws that supported it, but which did contribute most non-Quaker Christians to the movement. So that raises a new issue: the hatred of minority Christians by majority Christians, and how often that Christian majority is right in their condemnation. In this case, they were extremely not-right, and quite comfortable with that. And another: the many Christians I meet today who STILL insist it was perfectly Christian to abide by those laws at the time, and even to own slaves. Moral relativism in its most destructive form: servicing comfort. Yes, Robin, I think it is essential to understand that the way people behave is not always consistent with the tenets of their faith. This is at the core of my comments on the movie—the slave owners were professing Christianity, but they were far from what Jesus taught/lived. The same is true for the Christians who weren’t working with the Quakers. Or those in the German church who weren’t protesting Hitler’s measures against the Jews, as did Bonhoeffer. People have a tendency to act naturally, and according to Christianity, this is usually the problem.